the big question is what do I have in there? Just by looking at them I know for certain that they are not all the same species of fish....perhaps 2 of them are the same but 2 for certain are not! Looking forward to seeing the shots. We'll do our best once we see them. Shell says she is going to come up and have a look as well. I think you may still have to be patient. 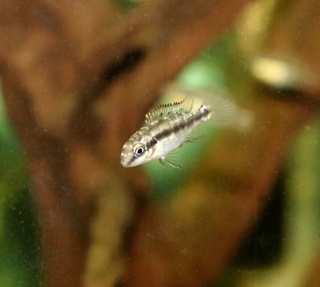 Mosquito fish rarely show up in feeder tanks, when feeder livebearers are shipped in bulk from Florida (the poor things). But to have them in with display fish would be super rare - they shred the fins of tankmates, especially of fancy guppies. You should (not) see what they do to a Betta. Most of the time when I try to identify mystery fry, I am wrong. You may be better at it, but I usually miss that bus. Once they are up around 2 cm, or if they turn out male, it gets easier. Betcha he's a male of the guppylike fish -skinny, and chasing girls - he's either a Grade 10 boy or a male livebearer. Here are some pics I took of goldfishbetalover's mystery fish. My guess is that one or two are guppies and one is a mosquito fish, and maybe one is a platy of some sort (the last pic a mosquito and guppy, the first pic a platy??)? There are also two babies in there, but I could not get a shot of them! I'll be interested to see what others think! I think you've got it right. Definately looks like a male mosquito fish. I'm thinking a platy, and guppies. I'll wager the colourless male doesn't stay colourless for long. can these fish live happily together? 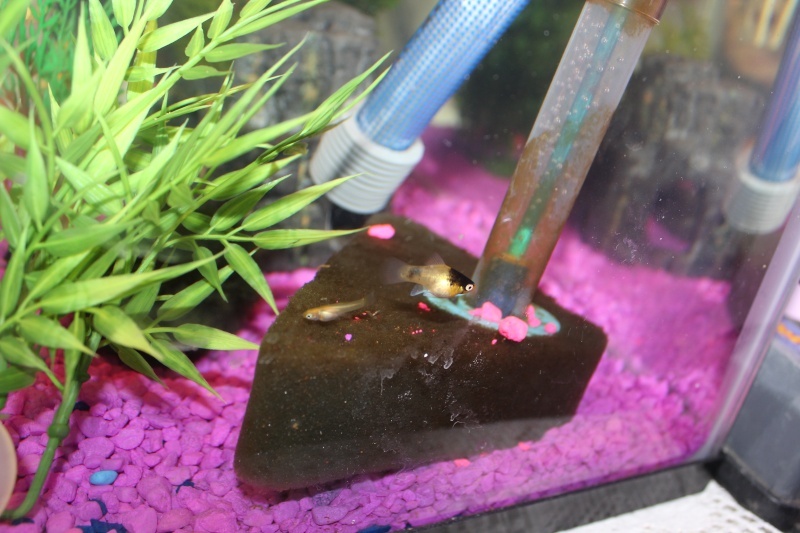 Yes, I also see a platy, male guppy, female guppy and 2 colourless males. 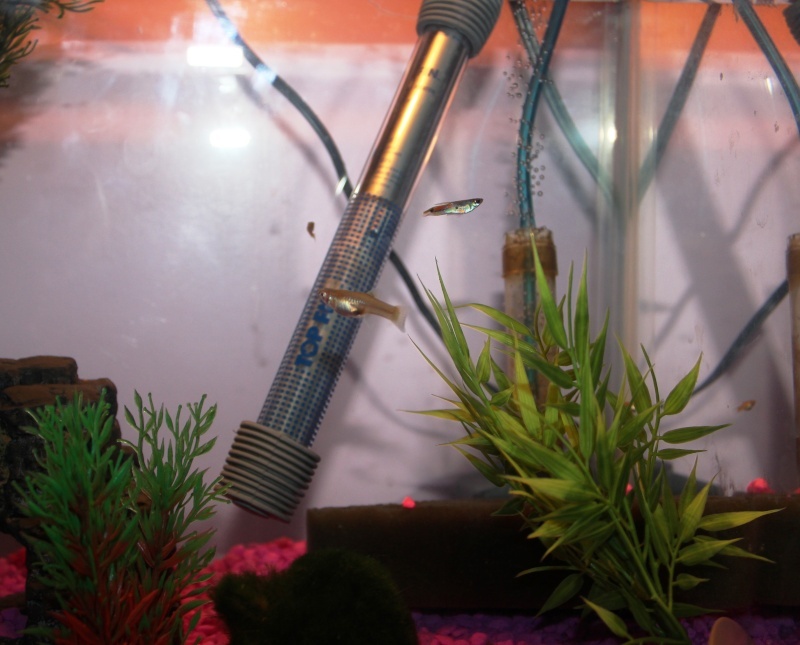 Those fish can live together without problems in general, although some guppies can get nippy but time will tell. 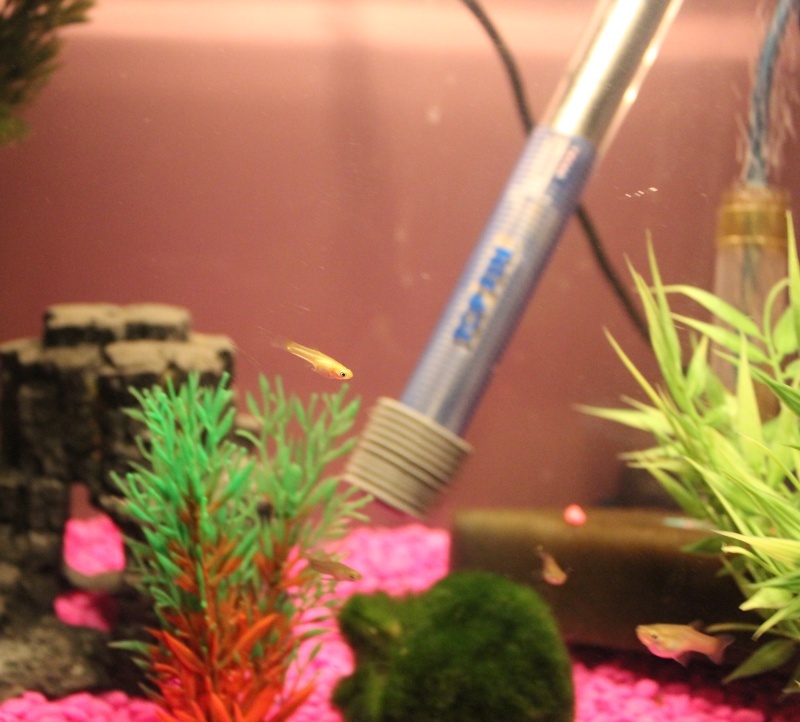 Second picture the fish just above and left of the moss, reproductive organ seems way to long and slender to be a guppy. Unless I am seeing things wrong. I didn't even see him, let alone see his gonopodium. You may have something there. I can't see well enough to be sure, but if that is what it seems to be, I agree with you. 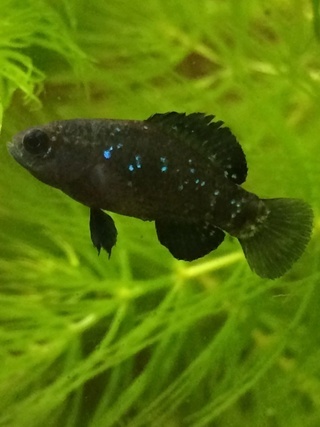 so do folk think the little platy will be ok? will others nip at him? should he be on his own? also if not guppies then what? 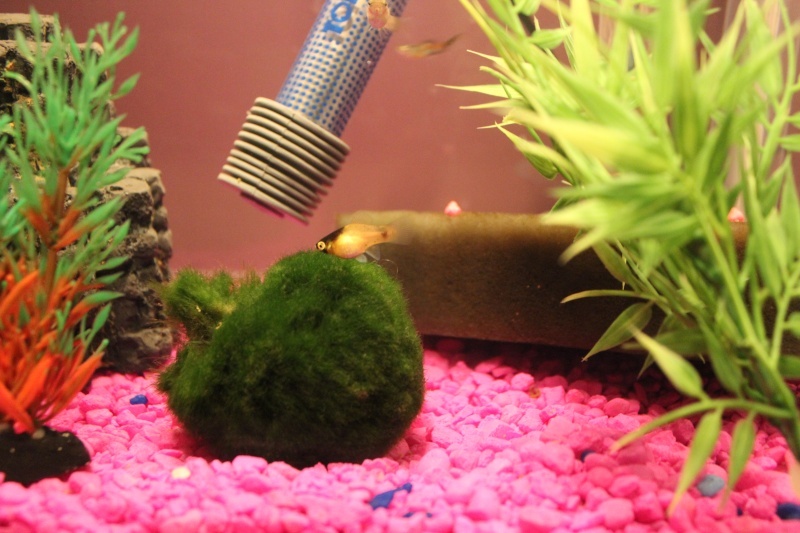 The platy is fine, as are the guppies. Gambusia are always hungry, and so they nip. They are greedy little beasts. Down the line, as the fish grow, you will have confirmation of what you have. Shell has some female Gambusia, if I remember correctly, so he could have a happy home there. 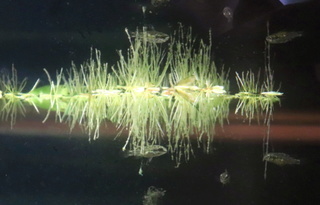 Gambusia affinis only really do damage to fish with long fancy fins. 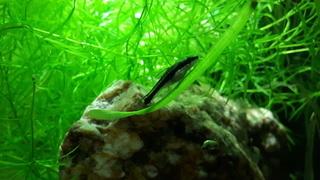 My Gambusia nicaraguensis damge no one - it seems to be a species by species thing.